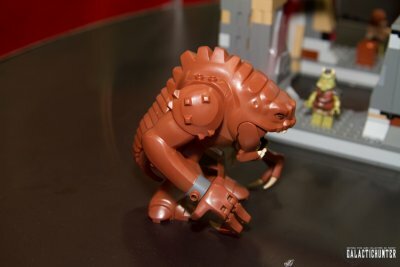 LEGO has come a long way from yellow only mini-figures. Their new Rancor set is pretty spectacular and includes a Rancor monster, Jedi Luke, Rancor Keeper, and a Gamorrean Guard for pork rind snacking purposes. 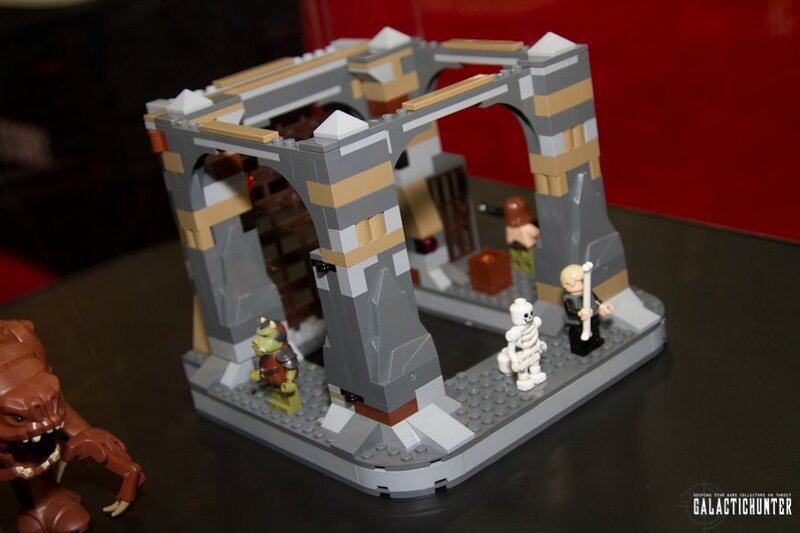 The set is also modular and fits underneath the Jabba's Palace set. 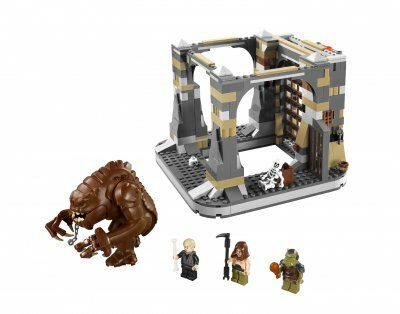 Although we're still waiting for an official announcement on price and release schedule, From Bricks To Bothans reports it will be arounf $59.99 with a January release date. As with every Comic-Con, the LEGO booth is active with lots of building tables and walls. On Saturday, a one of a kind 5 inch Luke Skywalker in LEGO form was raffled away. 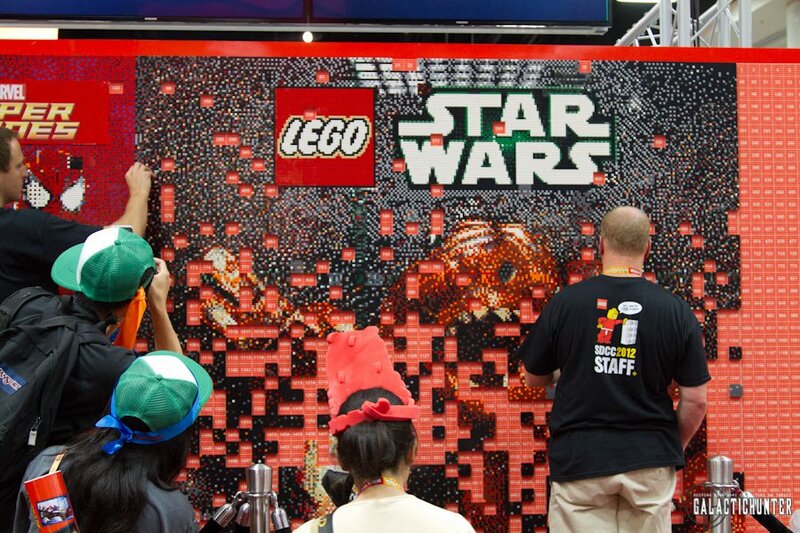 A sneak preview of the latest LEGO Star Wars episode slated to air on the Cartoon Network was also being played on the big booth screen. 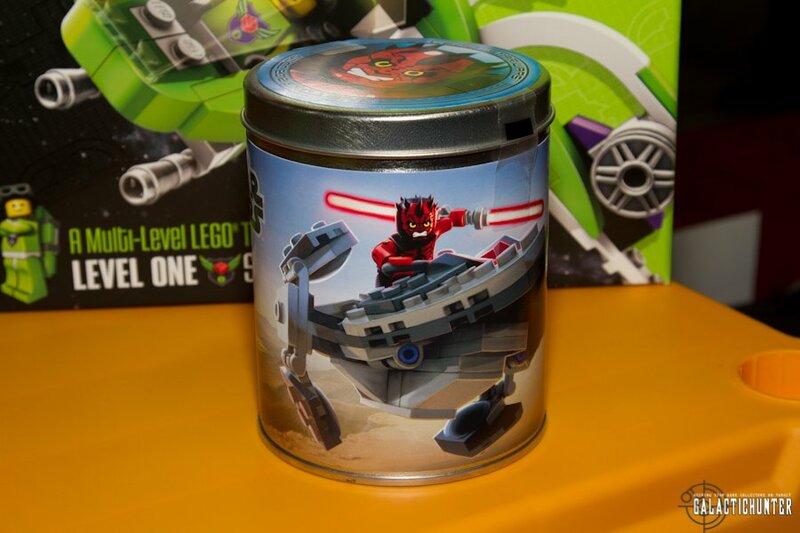 Their exclusive Darth Maul on Speeder Tin exclusive is quite the hot item selling out each day's allocation. Unlike last year's Advent Calendar, this exclusive will only be available at the show with a price of $40 and limited to 1000 pieces. Click here to view all the SDCC LEGO coverage photos in our Image Bank.